Commercial aviation safety is at the core of Opgal’s® aviation solutions, ensuring safe taxiing, takeoff, precision approach, and safe landing in reduced visibility conditions including night, thick fog, smog, heavy rain, and snow. 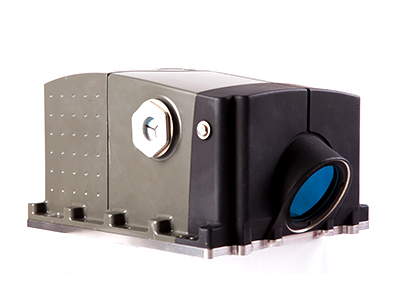 Fusing different IR spectrums and the application of proprietary algorithms allows Opgal Enhanced Vision System cameras to provide clear images of the terrain, approach and runway lights, runway threshold, buildings, obstructions and aircraft in close proximity. These images, which are normally undetectable “out the window” to the pilot at night and during bad weather, are detected by Opgal’s EVS cameras and provide the visual cues necessary for safe landing. Opgal’s EVS AP camera is a field proven, highly sensitive, wide-spectrum infrared camera that provides aerial camera systems with clear Head-Up Display (HUD) video images of the runway environment enabling safe taxiing, takeoff, precision approach, and landing. Opgal's vision enhancement cameras are great options for improving commercial aviation safety. Click on a product to learn more about Opgal's EVS cameras.